The 2019 Toyota Prius Prime is a 4 passenger Automatic transmission, 4-door Mid-Size Passenger Car. It is available in 3 trim packages, the Advanced, Plus, and Premium. The new Toyota Prius Prime invoice price ranges from $26,257 to $32,016, while MSRP ranges from $27,350 to $33,350. 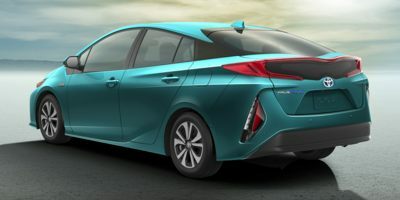 The 2019 Toyota Prius Prime is available in 7 exterior colors, Blizzard Pearl, Blue Magnetism, Classic Silver Metallic, Hypersonic Red, Magnetic Gray Metallic, Super White, and Titanium Glow, and 2 interior colors, Black, and Moonstone.